At the highest level, a "probe" can be anything that gets a signal from the device or circuit under test into the oscilloscope's input channels. It can be anything from a short piece of wire to a high-bandwidth differential probe. A basic probe consists of some type of connector (BNC), a length of wire, and a probe head, the latter being the connection point of the probe to the circuit. 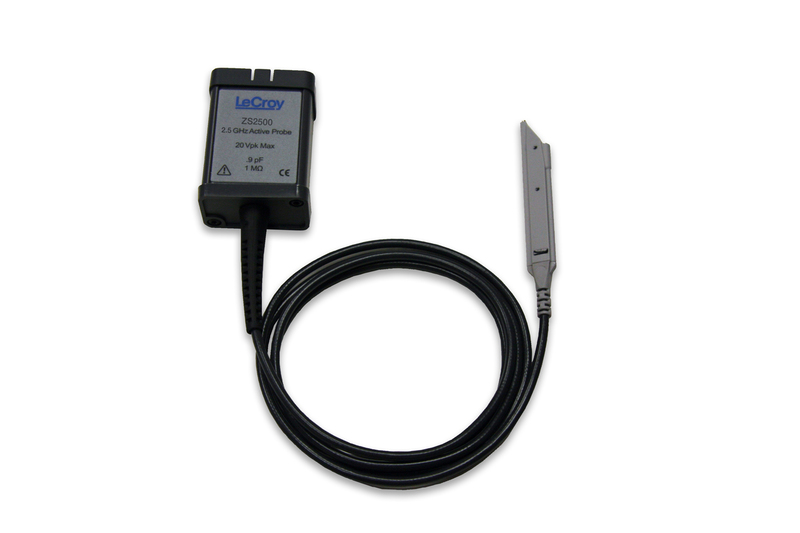 High voltage for floating measurements in a power supply, lighting ballast, motor drive, etc. Now, understand that probes affect devices under test. Tradeoffs between different types of probes and how the electrical characteristics of the probe affect a circuit are important to understand to ensure accurate and reliable measurements. and shape of the signal gets into the oscilloscope and is displayed on screen. Another possible outcome is that the probe alters the signal in some way and what gets displayed on screen is not what's really happening at the probing point. A worst-case outcome is that the operation of the DUT changes; a well-designed device or circuit may malfunction (or vice-versa). When a probe is connected to a circuit, it takes some of the energy present in the circuit and transfers it to the oscilloscope input. The probe constitutes another load that must be driven by the signal source. This load on the circuit can change the signal's shape and change the behavior of the DUT. 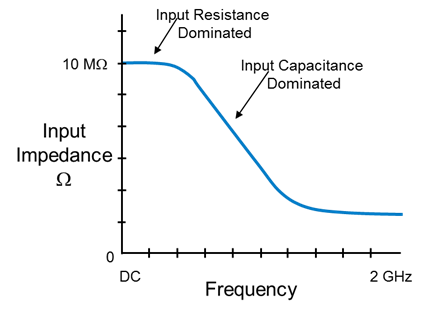 At 1 Hz, the impedance of a passive probe is 10 MΩ. At 1 MHz, that value decreases to 17.4 kΩ. At 100 MHz, impedance is just 174 Ω. With such a sharp dropoff in overall impedance, it's not surprising that the probe can have such a dramatic impact on what's seen on screen (Figure 3). That's why it's important to understand these effects and how they can influence measurements. That's it for this first installment on probe basics. In an upcoming installment, we'll look at more probe basics, including why the different types of probes are more useful in some applications than others.